One of the major factors when deciding whether or not to use a small business HRA for your company is how the HRA interacts with the premium tax credit (PTC) of the employees. 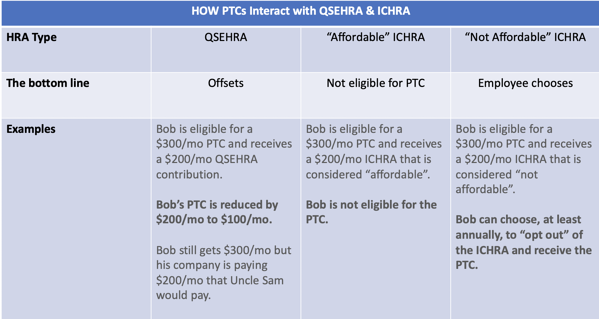 For QSEHRAs, employers often find that their contributions are simply offsetting the PTCs their employees would receive anyway, dollar for dollar. In fact, almost 20% of employers who decided not to use QSEHRA cited the issue of PTCs as the reason. 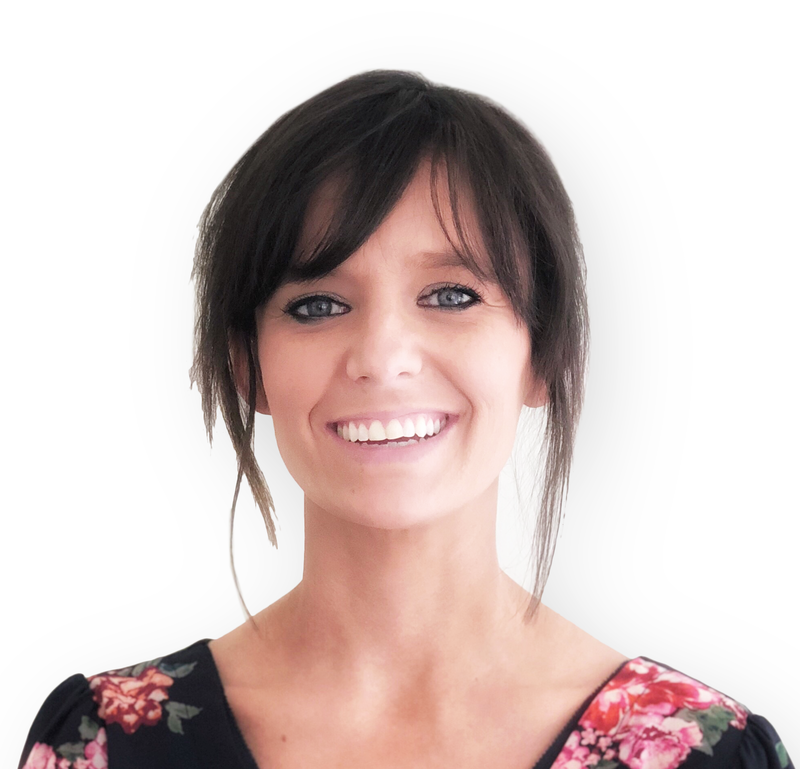 ICHRA, one of the new HRAs that will likely go into effect January 2020, might be a critical step in remedying that situation. So what's different with the proposed ICHRA? Provisions in the proposed rule would allow employees to "opt out" of the HRA permanently for at least a year, in which case employees would be eligible for tax credits. You read that right. Different than a QSEHRA, employees can opt out of an ICHRA! To understand if they have that opt-out option, we have to look at the issue of affordability first. This may sound confusing but it's actually a positive change for those who want to support their employees with an HRA but are not finding it financially reasonable because of the PTCs. In general, small business HRAs will reduce employees premium tax credits dollar for dollar. Basically the employee will be exchanging the tax benefit from the government with the tax benefit from the employer. The employee may still access their tax credits if the benefit is less than the premium tax credit (PTC) available to them. Remember, premium tax credits are based on income and insurance affordability. The IRS has set guidelines for determining eligibility for the premium tax credit and the size of the tax credit. If the ICHRA offered through their employer is considered affordable, the employee will not be eligible for PTC. However, if the ICHRA offered is considered not affordable, the employee will be eligible for PTC. If the employer finds that receiving their PTC is more beneficial to them financially, they may choose to opt out of the ICHRA plan offered. If they do so, they will then be allowed to receive their PTC. Here's a handy chart to drive the point home. ICHRA is considered affordable if the remaining amount an employee must pay for a self-only silver plan (this is the lowest cost silver plan) on the exchange is less than 9.86% of their household income. What is the lowest cost silver plan: The lowest cost silver plan in a certain area is determined by either the employee’s primary work location or home address. Additionally, rates can be determined based on prior year exchange information. How employee household income is calculated: Determining the employee household income is based on what the employer reports on Box 1 of the employee’s W-2 form. The rate of pay is determined with the assumption that the employee works at least 130 hours per month. Lastly, if it is affordable at the Federal Poverty Line, then the plan is affordable. We are just as excited as you are to find out what will happen with these proposed HRAs now that the comments period has closed. The Departments of Treasury, Labor, and Health and Human Services requested for commentary on their proposed regulations and Take Command Health responded with our own comprehensive and exclusive research. We’re busy tracking these changes carefully and will report back so we can share how these will help our small business clients. Stay tuned!